LG V35 ThinQ Goes Official with Snapdragon 845 and Some Borrowed Specs from G7 ThinQ - Playfuldroid! 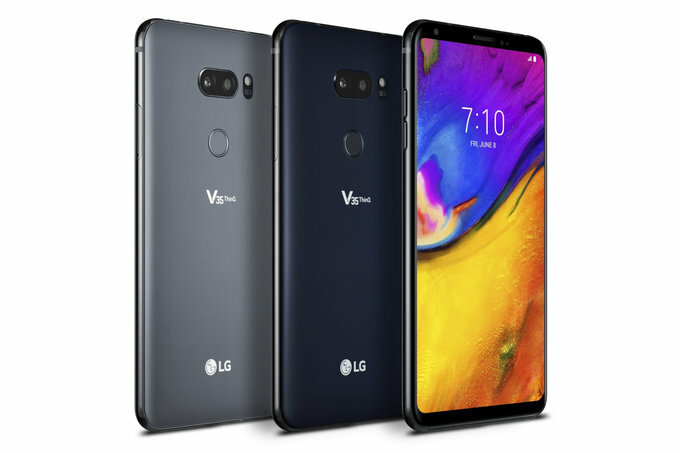 LG V35 ThinQ features a 6-inch FullVision OLED display that carries support for HDR10. The screen is protected by Gorilla Glass 5. The Snapdragon 845 chipset powers the phone along with 6 GB of RAM. It can be availed in 64 GB and 128 GB storage editions. For additional storage, it offers a microSD card slot. It is preinstalled with Android 8.0 Oreo. For photography, it features the same 16-megapixel dual cameras and Super Bright camera feature that can be found on the LG G7 ThinQ. It features a selfie camera of 5-megapixel. It also borrows Hi-Fi Quad DAC from the G7 ThinQ. It comes with 3,300mAH battery which is 10 percent larger than the one packed inside the G7. The handset carries support for Quick Charge 3.0. The LG V35 ThinQ will be exclusively through AT&T and Google Project Fi in the U.S. The South Korean did not confirm on its pricing. The pre-orders of the V35 ThinQ will begin on June 1 in the U.S. and it will be available in the market from June 8. Its color variants include New Aurora Black and New Platinum Gray. The smartphone will be also be made available in select markets in Asia, Middle East and Africa in the near future.